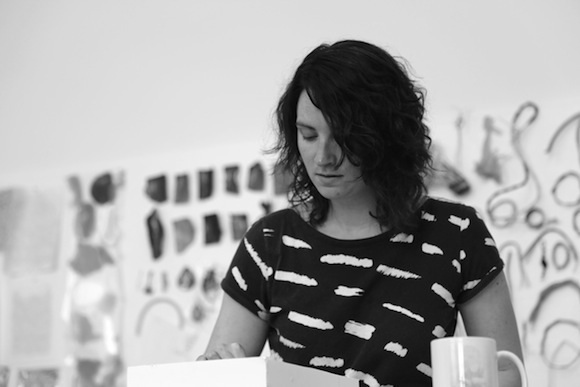 Emily Hermant is an interdisciplinary artist whose large-scale sculptures and installations explore themes of communication, gender, labor and the spatial experiences of the body. She received her BFA with distinction in studio arts and religion from Concordia University, Montréal, in 2004, and her MFA as a Trustee Merit Scholar in fiber and material studies from the School of the Art Institute of Chicago in 2010. Her work has been exhibited in museums, galleries, and festivals in Canada, the United States, South America, and Europe, and has been featured in LVL3 Media, ArtSlant, Espace Sculpture, The Washington Post, and TimeOut Chicago. Hermant has taught at the School of the Art Institute of Chicago, Virginia Commonwealth University, Concordia University in Montréal, and Tulane University in New Orleans. She is currently based in Vancouver, BC, Canada, where she is an assistant professor in the Audain Faculty of Art at Emily Carr University of Art and Design.